This just arrived fedex. 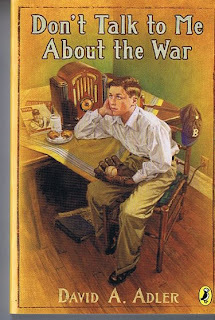 "No Easy Way" describes the book and the process of getting there, but the results are really quite pleasing. 32 pages. Period costumes! Human drama! Baseball! History with a great moral. Lucia Monfried and Irene Vandervoort get the design kudos, and the award of the century for patience. 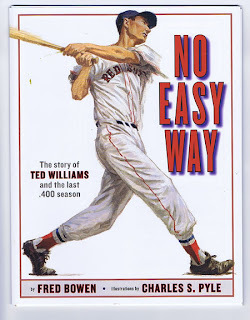 Solid story and if you have kids who like baseball, especially TED WILLIAMS, then this is a great book about perseverence, drive, and Ted's amazing .406 1941 season. Coming out this Fall. The paperback version of this showed up today. This was a fun cover to paint, and a good manuscript to read. Got 1o year olds who care about baseball or history? Got Redsox fans in the family?The art director did a good job on this one, I thought, especially with the warmer surround of the image.